Christmas decorations bring warmth and happiness to your home. 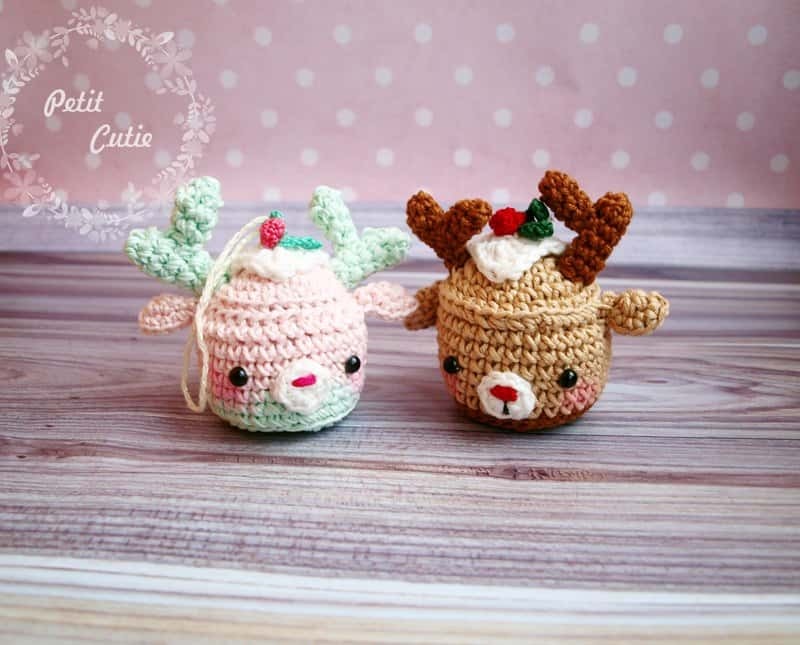 Let’s crochet sweet deer cupcakes to decorate the house and create a celebration spirit! 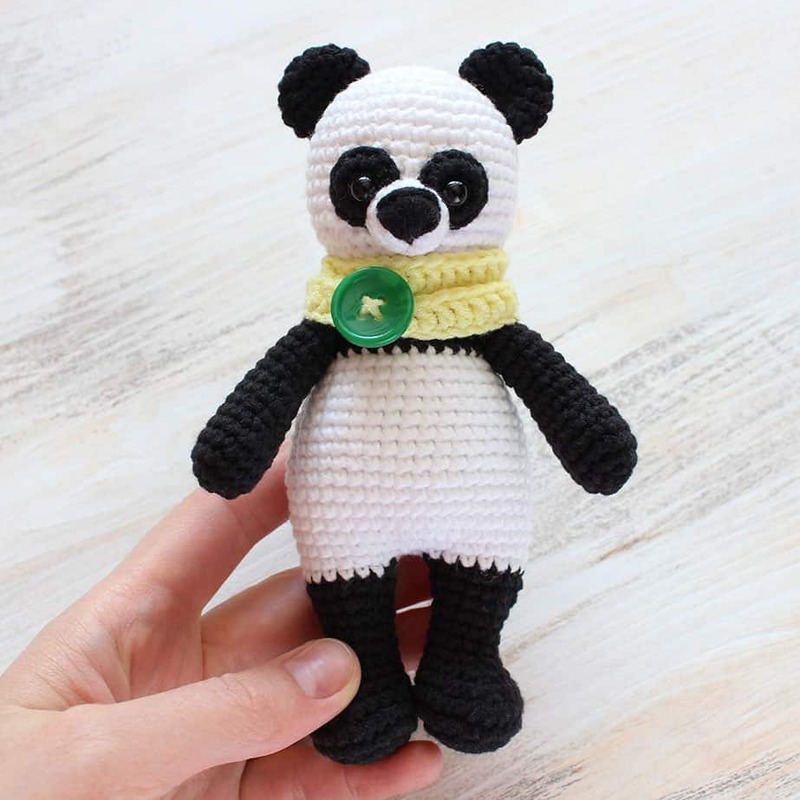 Follow the free amigurumi pattern below. The cake is crocheted from bottom up. Rnd 6: sc in all 30 st in BACK loops, change the yarn colour in the end. Take some cardboard and cut the circle (the diameter is equal to the bottom). Put it inside to strengthen the foundation. Rnd 7-13: sc in all 30 st in both loops, cut off the yarn in the end. Rnd 5: (sc in the next 3 st, inc) repeat 6 times. Cut off the yarn leaving a long tail for sewing. Stuff the basement, sew the lid and the bottom leaving a small opening to stuff. Sew the opening, fasten off and weave in the end. Rnd 2: (inc) repeat 6 times. Fasten off and cut the yarn. Fold the ear as a semicircle and sew the corner. Sew it to the main part. Rnd 2-6: sc in all 6 st.
8 sc in a magic ring, sl st, cut the yarn, leaving a tail for sewing. Embroider a nose on the muzzle. Rnd 3: 5 dc in one st, skip st, sl st, skip st, 2 dc, 1 tc and 2 dc in one st, skip st, sl st, skip st, 5 dc in one st, skip st, sl st. Cut off the yarn leaving a tail for sewing. Take thinner yarn, for example Iris yarn. Stuff a little bit (if necessary), (dec) repeat 3 times. 5 ch, sc in the second st from the hook, continue crocheting 1 sc in each half-loop, sl st in the end, cut the yarn leaving a tail for sewing. Sew the muzzle above the bottom colour, sew the glazing and decorations on top of the “lid”, sew horns at the sides, sew ears a bit lower than the “lid”. 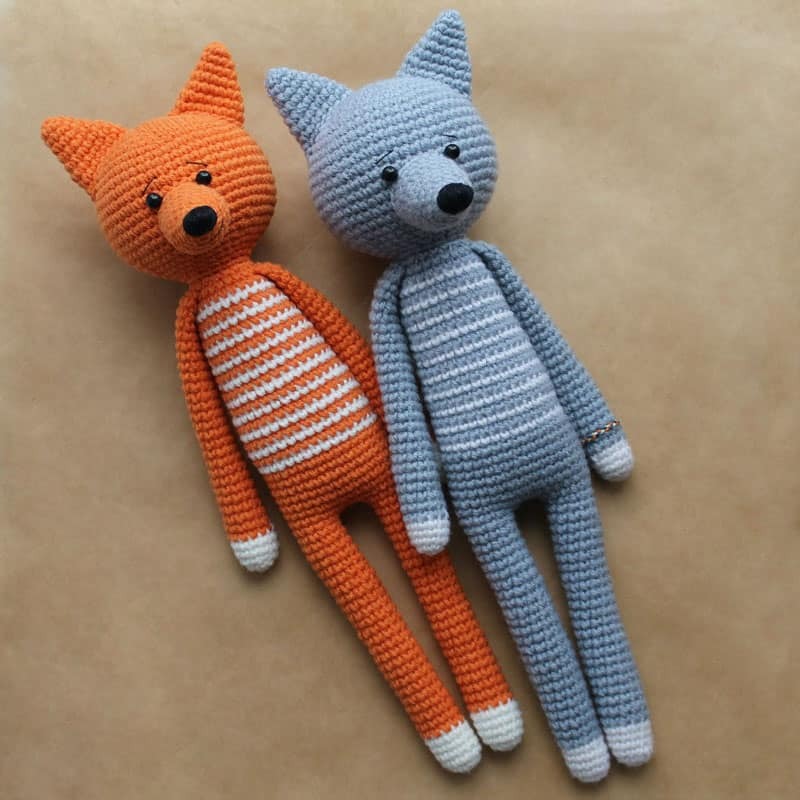 Embroider or glue the eyes. You can embroider cheeks or make them using dry pastel paints. If you wish tie a ribbon to hang the toy on the fir-tree. 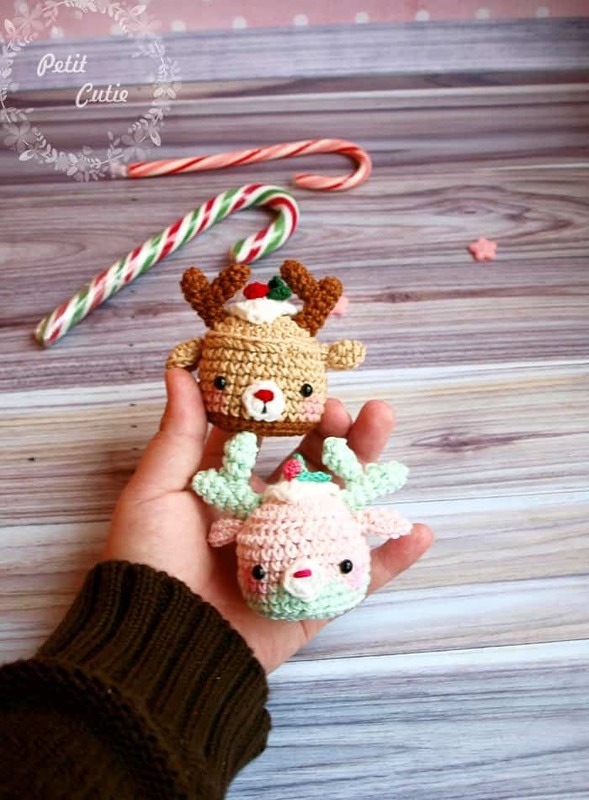 Thanks for these cute projects! What’s the body pattern for the mint green? I can’t tell if you continued making the next few rows after row 6 green or made an arc. 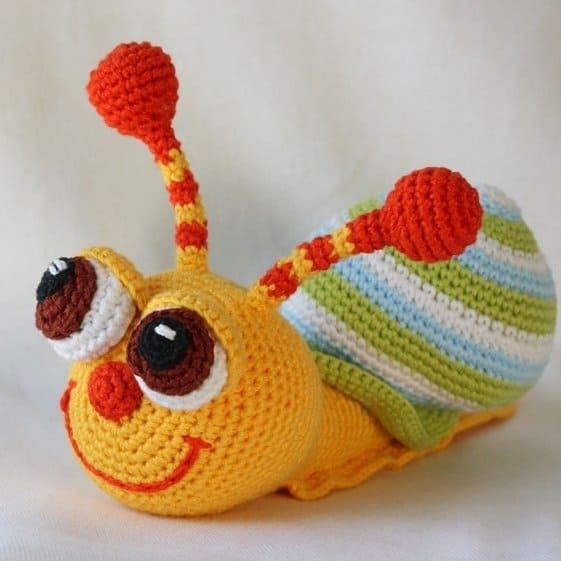 Hi I’m new to making amrigurmi crochet and I’m trying this pattern as one of my first since they are cute and look easy to make, but I do have a question what is the “basement”? If that’s the middle part there is no pattern for that just the cake and lid sections. If you could help me that’d be great. Thank you! I like the cross shape stitch, how do you make that? I made one of these for my grandmother for Christmas. It’s so cute! Your patterns are wonderful. Do you join at the end of each round or no? love this pattern. mine turned out well. use crayon or blush for cheeks. do you have any other animal designs as well? 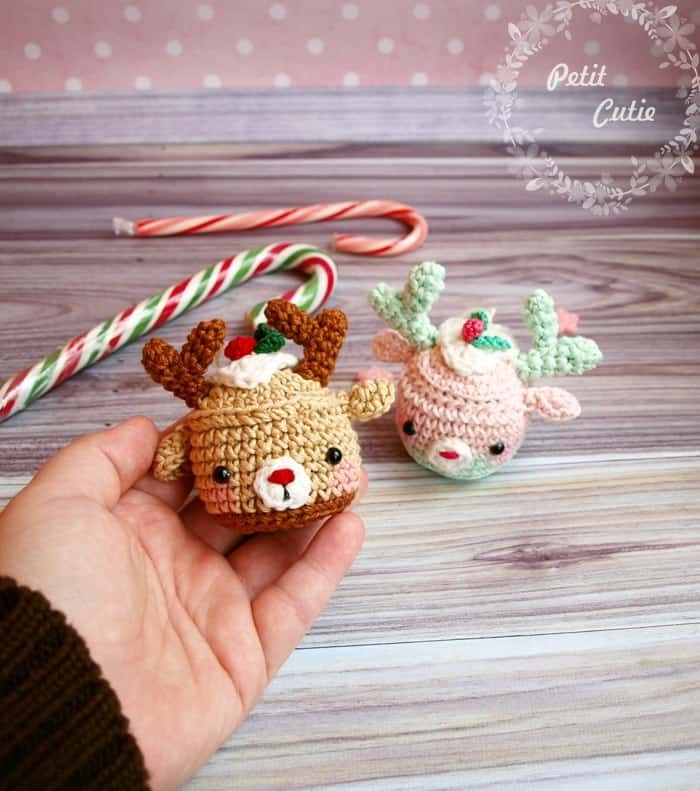 These would make adorable gifts! Thanks for the pattern! Love how you used “unnatural” colors for one of them. It will be fun trying to mix and match different colors. 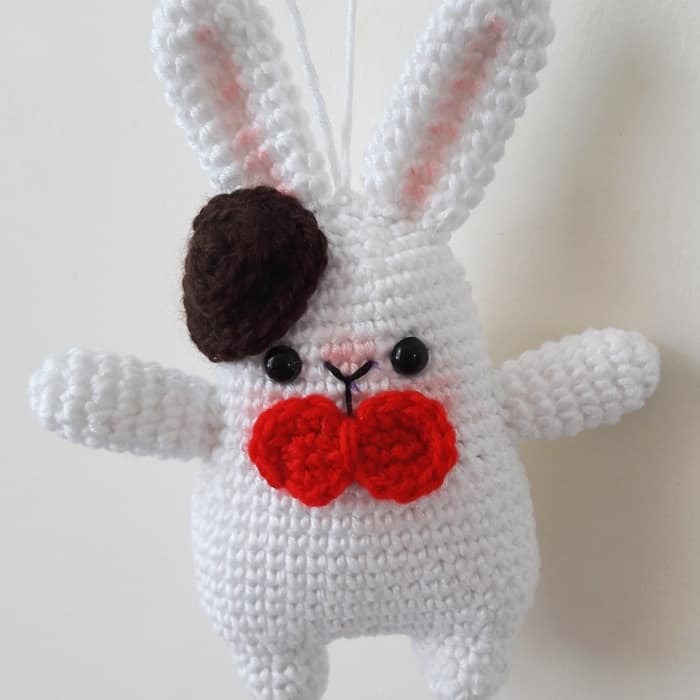 I have been making amigurumi for years but have never used dry pastel paints for cheeks, or any other details for that matter. It looks great! How exactly do they work? Will they rub off in any way? Are they different from chalk pastels? Hi Alexandra, these are soft pastels (look like chalks) that don’t contain oil. They’re fixed perfectly but can be smudged if you rub them hardly. Apply them just a little bit and smudge slightly to fix on yarn. 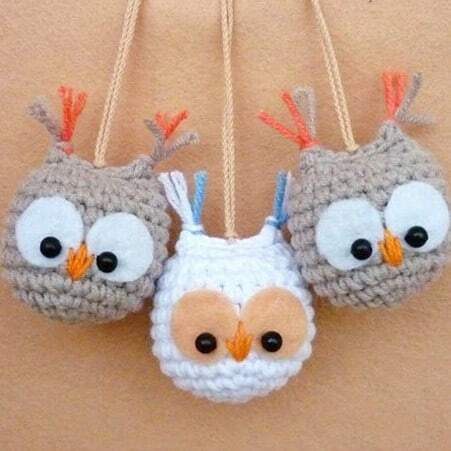 These are simply adorable, will be making several as little ornaments for my family and daycare babies! 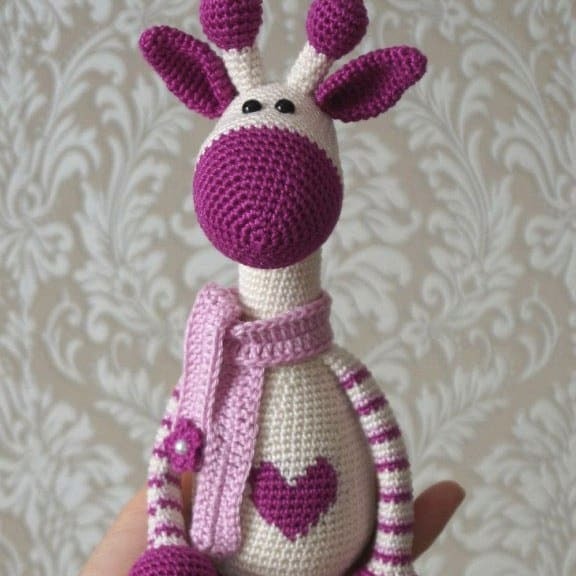 Thank you so much for the darling free pattern.